There are more than a few ancient sites around the world that have continued to mystify us for hundreds, if not thousands of years. Massive monuments such as the Pyramids of Giza or Ollantaytambo in Peru are just two examples of ancient building skills that continue to baffle us till today. One such example is the existence of large stone gates which are found in various parts of the world. And what’s strange about these gates? First of all, gates should open, and next of all… they should lead somewhere. However, in all of these examples, the doors either do not open nor do they appear to lead anywhere whatsoever. This massive door-like structure is carved directly into a natural rockface. The square door measures exactly roughly 7 meters in height and width. A smaller concave within the “door” measures about 2 meters in height. So far as we know, these doors do not open. However, according to local legend by the Native Americans of the region, great heroes would pass through the gates to join the gods. On rare occasion, the gods also passed through those gates to visit mankind. 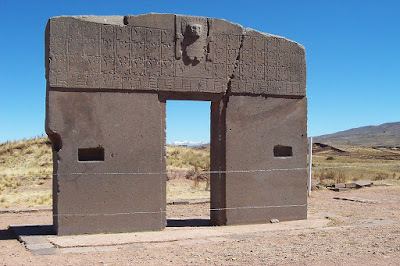 Some also refer to the gate as the “City of the Gods,” although no city has ever been found. While there is no way to verify the accuracy of these legends, it would still be interesting to know what this door is actually for. And more importantly, where does it lead? Not far from the Gate of the Gods is another strange stone gateway. 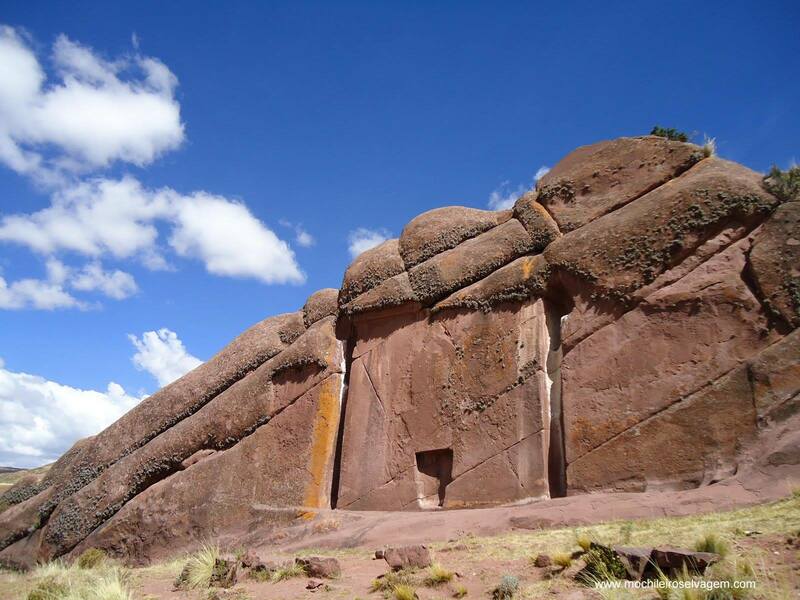 This megalithic monument is carved from a single stone and weighs roughly 10 tons. The archway (which also leads nowhere) is adorned with 48 winged creatures surrounding a central carving of the “God Self Icon.” Strangely, this God Self Icon can be found in various countries around the world including Afghanistan, ancient Sumeria, India, Persia, Egypt, and many more. 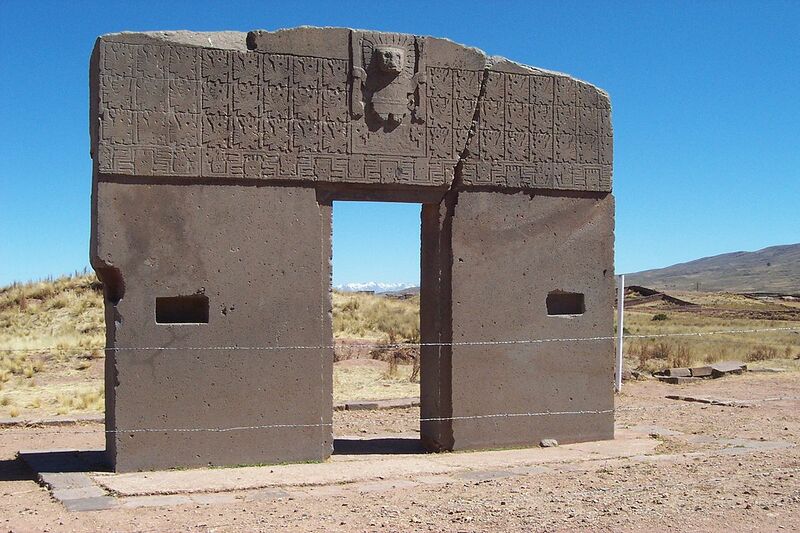 Some believe that the gate represents some sort of astronomical or astrological significance. As for me, the only thing I can think about gates that go nowhere is… Star Gate? The Midas Monument, also referred to as Yazılıkaya (inscribed rock) is an ancient archaeological site in Eskisehir Province in Turkey. 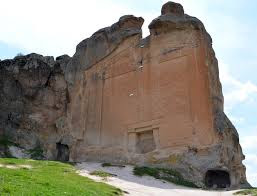 The monument is 18 meters high and is estimated to be dated to the 7th or 6th centuries BC. As with many other strange ancient monuments, historians suggest that this massive door to nowhere is a tomb. An old Phrygian inscription can be found atop the monument, bearing the name of the Phrygian mother goddess. Qasr al Farid is a first century monument built by the Nabataean Empire – the same kingdom responsible for the well-known rock city of Petra in Jordan. The massive rock-cut structure is said to be a tomb, and is one of over a hundred similar style tombs in the area. The monument was given its name Qasr al Farid, meaning “lonely castle,” based on the fact that it stands alone. This is quite unlike the other tombs of the vicinity which tend to be built in groups. The Qasr al Farid was never completed. Looking at these 4 strange gates from around the world, one cannot help but notice a striking similarity between the sites. According to some other articles I read, there are supposedly 5 strange gates in various locations around the world that form a cross shape around a particular location? Has anyone else ever seen or heard of any “Star Gates,” aside from the ones mentioned here? Let me know in the comments!